Just another WordPress plugin to customize the login page that you can add your own logo and background contents to the WordPress login screen. 1. Download the plugin and upload the zip to the WordPress on the Add Plugins page. 2. Or directly upload the custom-wp-admin-login to the plugin folder. 4. 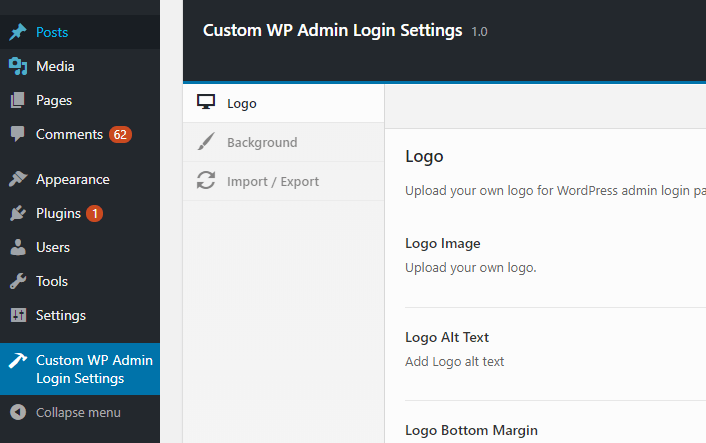 Go to the Custom WP Admin Login Settings page to customize the login page. Logo: Upload your own logo for WordPress admin login page. Background: Manage background color or image and custom CSS for WordPress admin login page. 5. 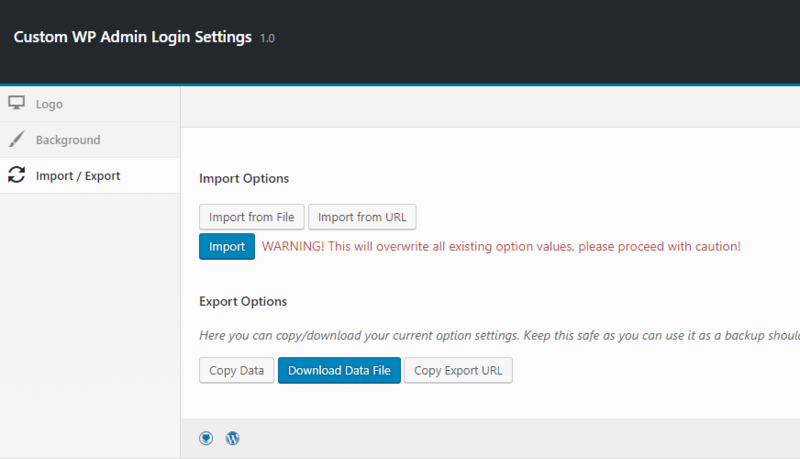 You can also import, export, or reset all settings under the Import/Export tab.